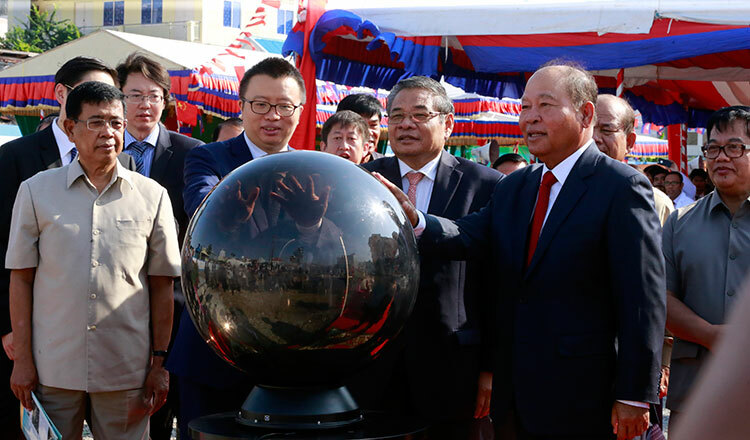 Speaking at the groundbreaking ceremony yesterday, Deputy Prime Minister Yim Chhay Ly expressed gratitude to the Chinese government for its support, noting that China’s aid will help improve Cambodia’s health services and foster cooperation between both countries. 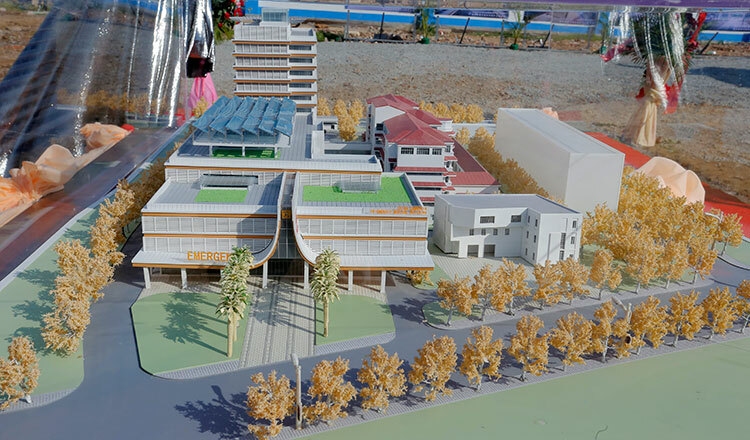 The hospital building project, funded by China, will cost about $80 million and is being carried out by a Chinese firm. The 11-storey building will have 132 rooms, 219 restrooms and 400 beds. It is being built on 13,740 square meters of land and the 53-meter-high building will have outpatient and inpatient services, and also a rooftop helipad. 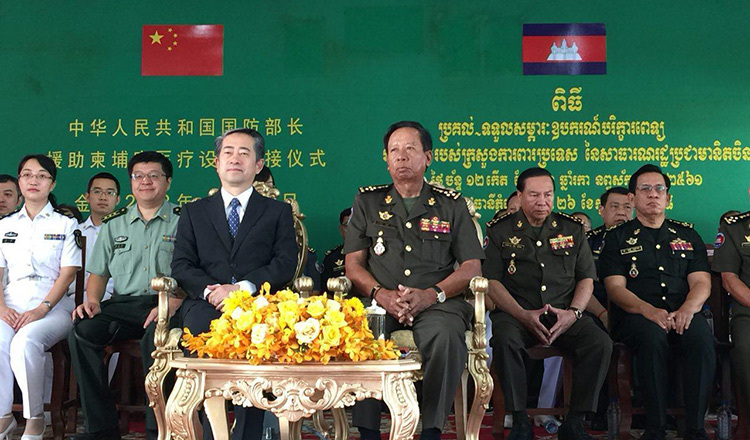 Li An, economic and commercial counsellor at the Chinese embassy, reiterated at the ceremony yesterday that the Chinese government will continue to support Cambodia’s stability, economy and development. He said the hospital project will benefit the public and improve the health sector in Cambodia. Mr Li noted that so far, the Chinese government has already provided aid to the sector, including 40 mobile clinics and 200 ambulances. 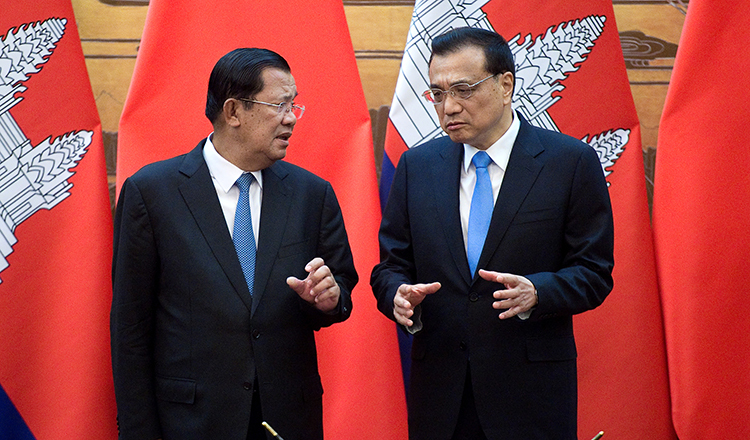 He added that China has also sent experts and medical personnel to provide health checks and treatment to Cambodians, including children who suffer from congenital heart disease. 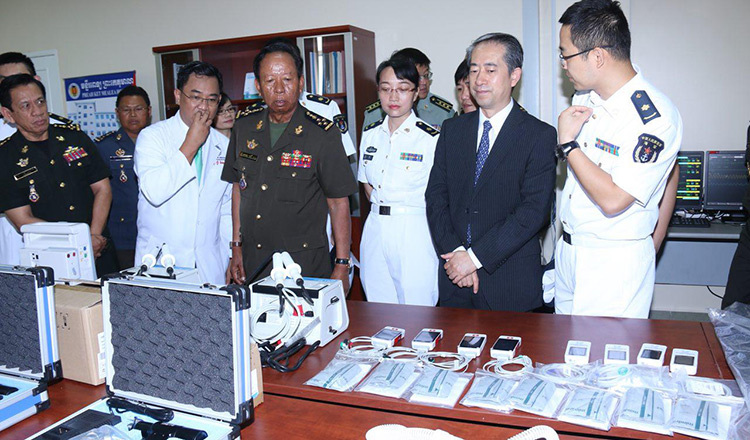 Health Minister Mam Bunheng said yesterday the building will be equipped with the latest technology used by hospitals in China. “We are happy because this humanitarian aid is in line with our government’s policy,” he said, adding that when people are healthy, they can earn money to support their families. The Preah Kossamak Hospital was inaugurated in 1956 by Queen Sisowath Kossamak to provide medical treatment to monks. It extended its services to the public in 1979. 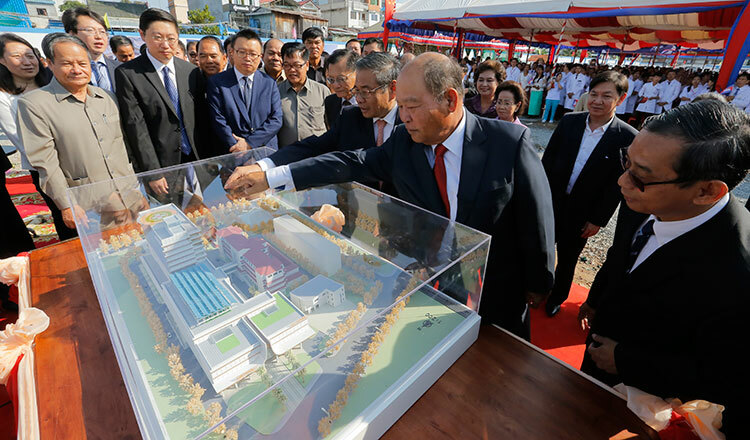 The hospital has been renamed the Cambodia-China Friendship Preah Kossamak hospital following an approval by Prime Minister Hun Sen in December last year. Mr Bunheng yesterday defended the name change, noting that what is important is that it will provide quality medical care to Cambodians. In the draft national budget for 2019, the Health Ministry is to receive about $440 million. The ministry’s budget this year was about $342 million.